January | 2011 | Renowrites blog! 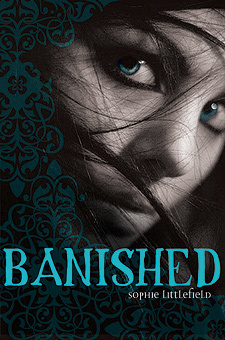 I’m currently reading Banished by Sophie Littlefield. It tells a story of a small town girl who discovers her hidden legacy…and there’s some cool supernatural stuff in it that I think Young Adult readers will enjoy. One thing I love about Sophie is she has the coolest names for characters. Chub, the younger brother in this book, has to be one of my characters. Word is this is a first of a series…sweet. I wonder how long it will take until this series becomes a movie? If it does, you heard it here first! It comes highly recommended and I am so happy for Sophie’s success. Northern California authors represent! manuscript? How much should I include about the Filipino culture? day. But hey, at least there’s an IMDB page. be for the journey ahead.